Arsenal manager, Arsene Wenger has stated that Olivier Giroud would only join Chelsea or any other club if Arsenal bring in another striker this January. 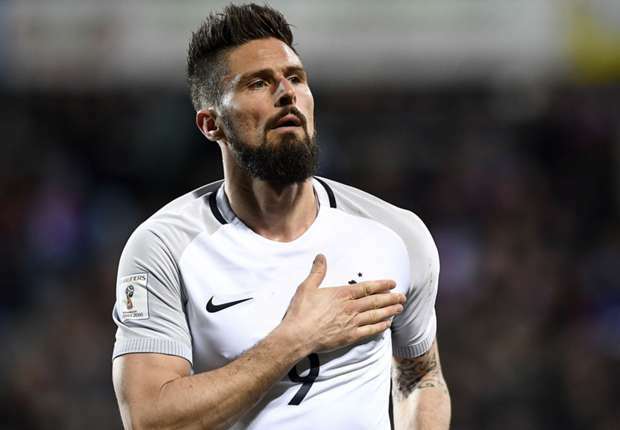 Wenger spoke amid speculation that Chelsea are making move to sign Olivier Giroud. The 31-year-old Frence striker has been heavily linked with a move away from the Emirates in recent weeks. Borussia Dortmund were also keen on the striker being included in a potential deal for Pierre-Emerick Aubameyang but the Gunners rejected the move. Chelsea made an approach for the Frenchman, with Antonio Conte desperate to bring in a forward before the January transfer window slams shut. Asked by reporters about Chelsea’s interest in Giroud, Wenger responded, “I want Olivier to stay. ‘I have told you that if nobody goes in, nobody goes out. “Maybe some youngsters are loaned but the experienced side of the squad stays the same unless someone comes in. Asked if Giroud has asked for a move, Wenger added, “No. I have consistent exchange with him. We speak about it a lot. “He has played a lot of games and scored important goals. He is an important player and every player has a lot of respect for him.